Centralized application which speeds up the order processing, boosting the customer satisfaction. 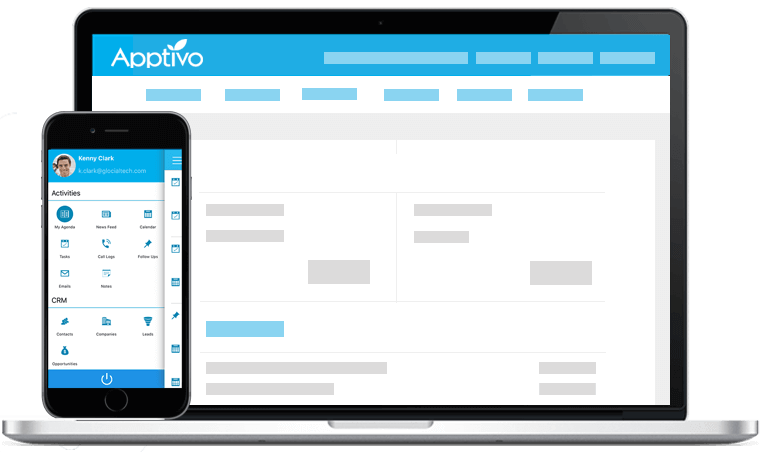 With Apptivo Order Management system, get to access a feature-rich yet simple application with adaptable and customizable workflow. 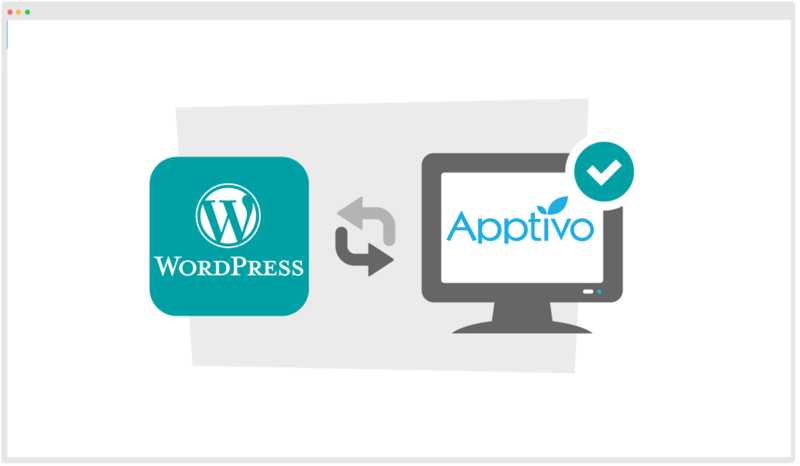 Integrate with WordPress or use Apptivo’s open API. Sales can be processed on your online website through either the WordPress plugin or the developer API. Create orders even when the items are out of stock. 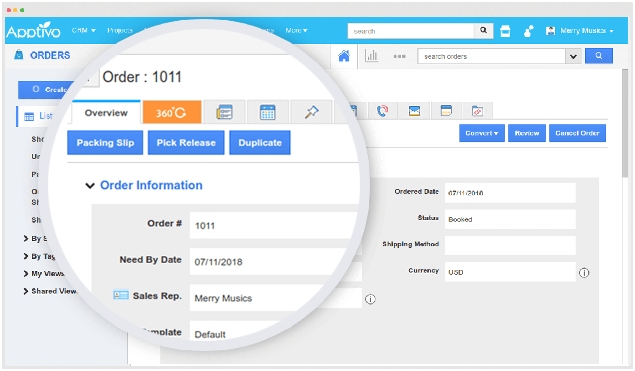 Get to know the on hand quantity available & backordered quantity for an item, right from the Orders App. 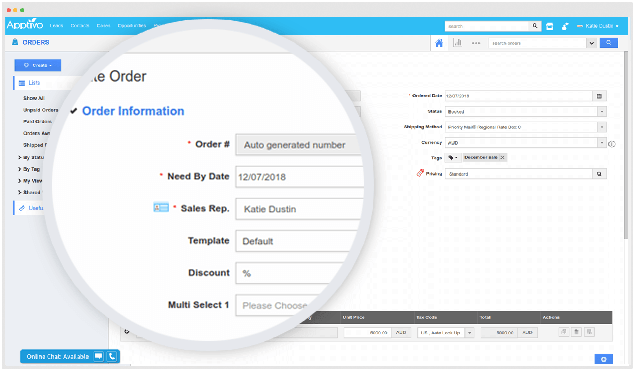 Create and manage your sales orders in one central place. 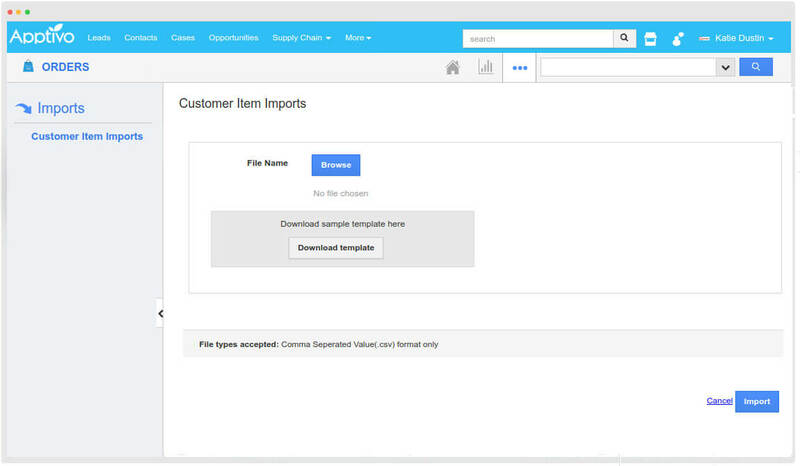 Import orders directly into the system and effectively synchronize your orders with your inventory. Perfect Inventory experience, storing all product information with accurate quantity. Automatic deduction of products from your inventory once the orders are processed. Get a look over the inventory of any item, right from the order screen. Create customized packing slips according to your business requirements. Easily print the packing lists when necessary. 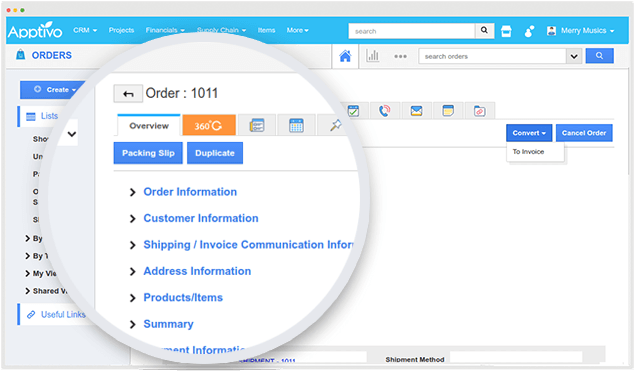 Manage shipments easily. 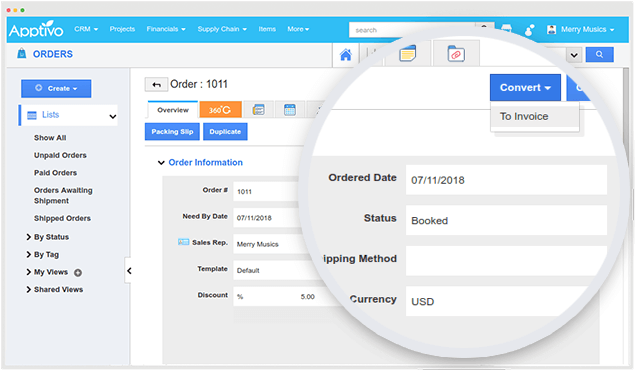 Create shipment, Schedule pickups and Invoice instantly right from the Orders App. Keep track of your orders and stay updated across all locations. Offers you a set of standard payment outlets for your customer payments. 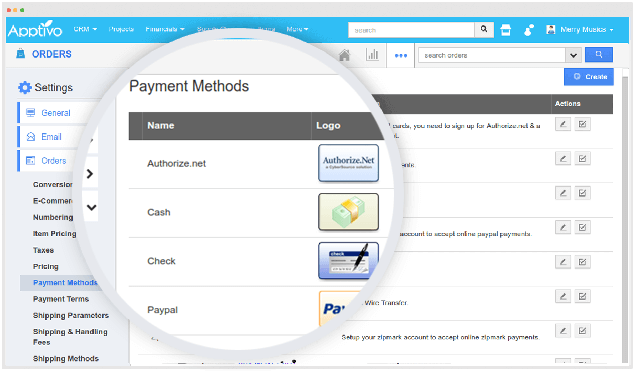 With integrated payment processing, capture payments at ease on the go. 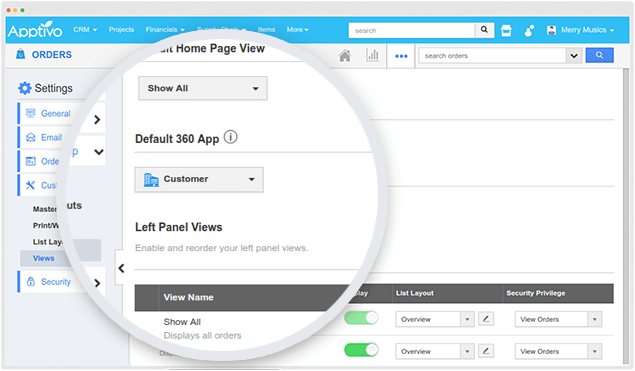 With customizable filters and sortable order views, you can have access to the most flexible order management system. 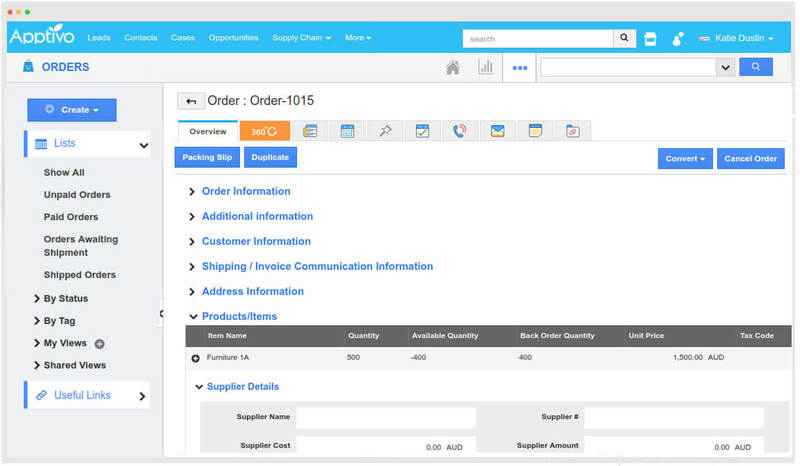 At the click of a button, convert your orders to invoices right from the orders app. All the order information will be available in the invoice, which can be sent to customers instantly.